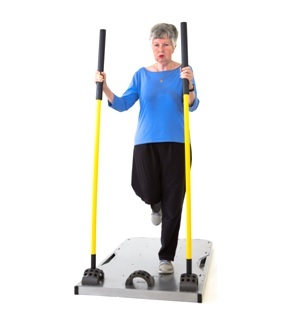 Using the Stix as a balance aid, balance on one foot. Holding Stix at a comfortable level. 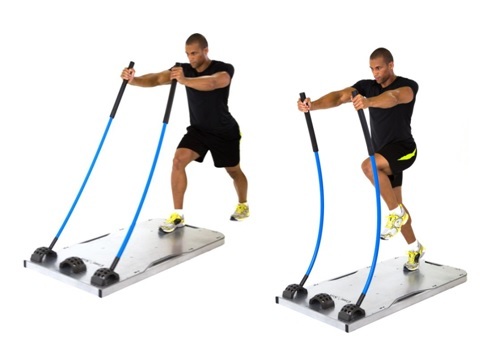 While maintaining balance on one foot, only use the Stix for balance as necessary. 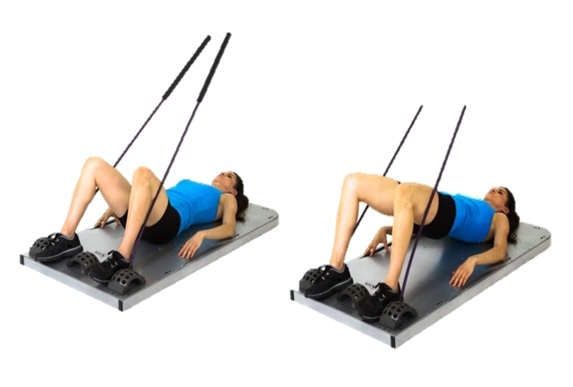 Continue to press down with your foot into the board for additional gluteus medius recruitment. 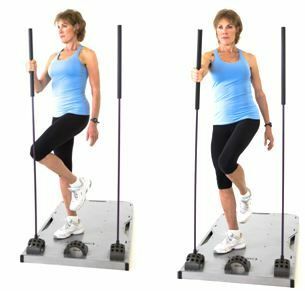 (Progression: add marching or toe taps to the side or rear) As they progress and need less balance aid, progressively reduce Stix resistance, Heavy to X-Lite. Feet flat on board, knees bent at 90°. 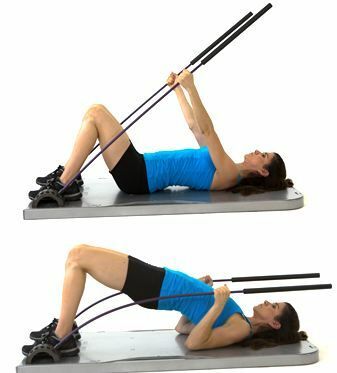 Uncross Stix and place outside of thighs. 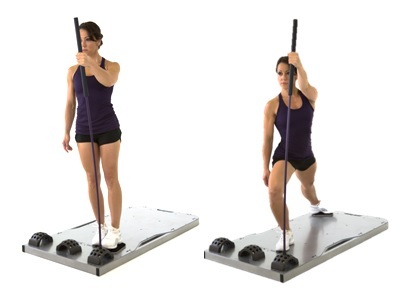 Initiate movement by pressing Stix apart, then curl pelvis up, peeling spine off the board one vertebra at a time. 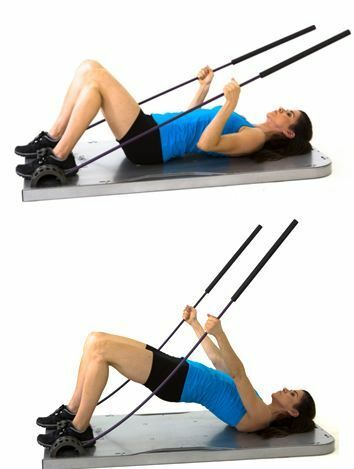 Squeeze the glutes at the peak of the exercise. Do not arch spine. 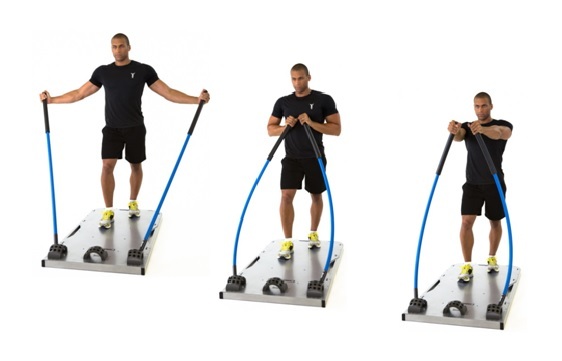 Standing between the handles, with feet staggered, hands in position 1, core engaged.